Thanks for taking an interest in crewing for Thumbs Up Sailing Yacht Delivery, you have already made the first step of your adventure by visiting our site. Filling in the application form below is the next! Liking and Following our Facebook Page using the Facebook widget on the right is a great way to keep up to date with up coming opportunities! 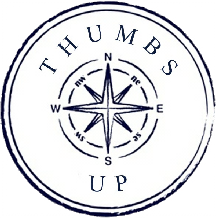 Why would you like to crew for Thumbs Up Sailing Yacht Delivery? Please give your CV and References some time to upload! Happy Sailing!